Kettle Corn Popcorn...A Hit for All Ages! Some things never go out of style-like the fun flavor of kettle corn. How to make kettle corn?..... With Paragon's Kettle Korn 6 oz. Popcorn Popper ....Making kettle corn will be a snap and will bring in people of all ages looking for that one-of-a-kind sweet and salty special treat. The Paragon Kettle Corn Equipment is all you need to start up a profitable Kettle Corn Business. The Paragon Kettle Korn Machine is as unique as the popcorn itself, with easy to clean surfaces and patented two-part heating element technology. Now you can offer your customers the classic taste and timeless tradition loaded in each bag of made-to-order kettle corn popcorn. You can experiment with your own sugar and lightly salted recipe or you can purchase our pre-packed pre-measured kettle corn packs below. Start one batch and watch your sales heat up! A Hit for All Ages! ...It's The Paragon 6 oz Kettle Korn Popcorn Machine. If you like your popcorn lightly sweet and lightly salty, then this is your popcorn machine. If you want to work the carnival and festival scene with Kettle Corn Popcorn, then this is your popcorn machine. Kettle Korn popcorn is a hot item at spring, summer, and fall outdoor festivals, outdoor markets, art shows, church fairs, and similar other venues. It is a great profit maker and a crowd pleaser. You can now offer your customers the classic taste and timeless tradition loaded in each bag of make-to-order kettle corn. Folks will gladly wait in line for a fresh bag of kettle korn. The thermostat in the kettle is regulated to pop sugar corn. The kettle has easy to clean surfaces. Simple controls for convenient operation. 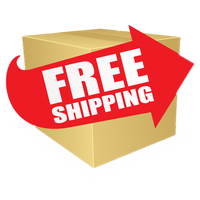 Free Shipping on the Popcorn Machine and Cart! New at Standard Concession Supply...Now we have we have the ingredients to make kettle corn all in one convenient plastic pouch...and the amount of each ingredient is measured perfectly for a six ounce popcorn kettle to make great kettle corn easily each and every time. Best results when used in our 6 oz. kettle korn machine. Grab a box today of our special sweet and salty kettle korn mix with that unique taste that we all love. Packed 24 packs per case. Korn in these retail display bags that are 8" w x 5" d x 18" h. Definitely an eye catcher. There are 1000 bags packed per box. New....Jumbo Kettle Korn Bag. Supersize your Kettle Korn Business with these 30" jumbo size Kettle Korn Serving Bags. This Bag features Kettle Korn Graphics that will sure to be an attention grabber. Packed 1000 bags per box. Perfect for Kettle Korn Vendors.